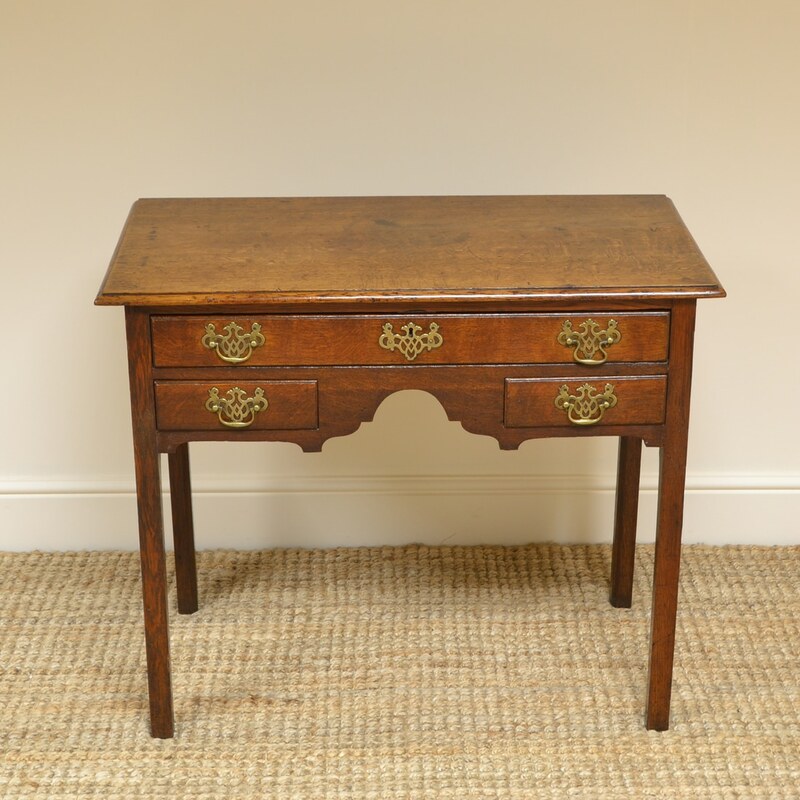 This Fine Country House George III Period Oak Antique Low Boy / Side Table dates from ca. 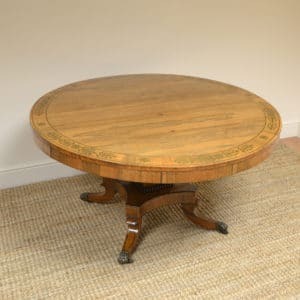 1780 and is full of beautiful charm and character. 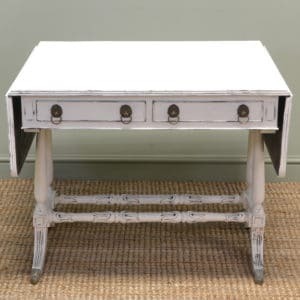 It has a moulded top above one over two Oak lined drawers with pierced brass handles. 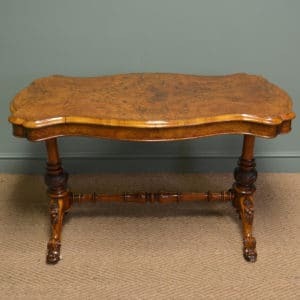 This Fine Country House George III Period Oak Antique Low Boy / Side Table dates from ca. 1780 and is full of beautiful charm and character. 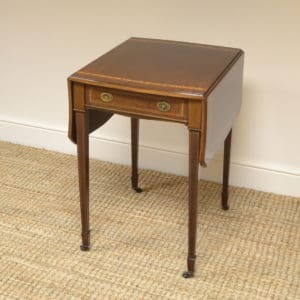 It has a moulded top above one over two Oak lined drawers with pierced brass handles. 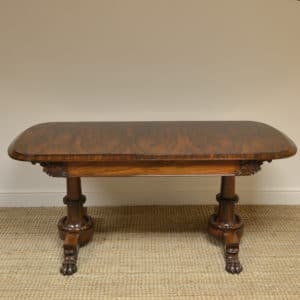 It stands on four legs with canted backs and has aged to a warm Oak shade with a striking grain, good patina, is in very good condition and has been beautifully cleaned using a traditional form of wax finishing.